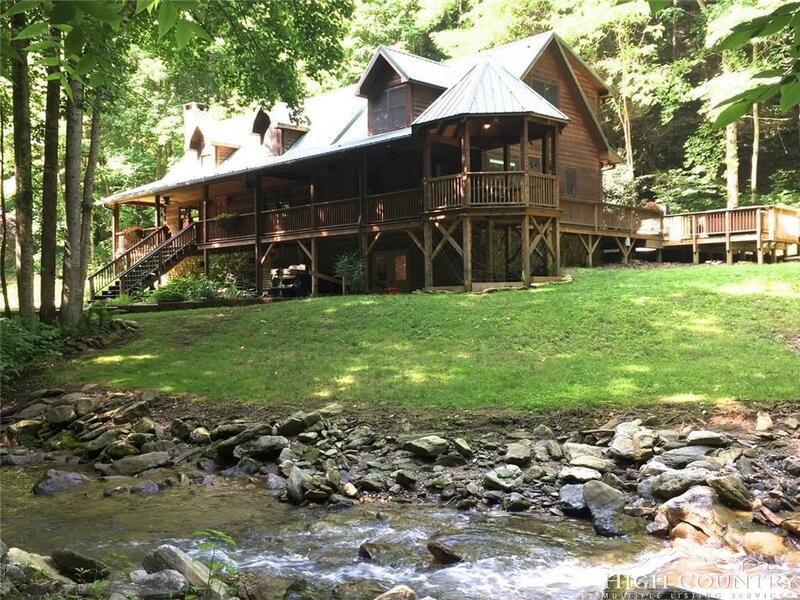 1300 feet of magnificent creek frontage with complete privacy--the epitome of a dream mountain hideaway with the perfect log cabin already in place and awaiting your family and friends. 32 acres encompasses both sides of the creek and includes gentle, old pasture areas which could be used again for a horse or two or any other animals, a large fenced garden area, park like entry into property, detached 2 car garage, small barn with 2 stalls & tack room. No steep walk to the creek here, it is steps away from all those covered porches and outdoor living areas and its sweet melody will lull your cares away and sooth your soul--nature's tranquilizer and mood elevator! And the spacious log home is geared toward family enjoyment both indoors and out--multiple gathering areas, updated kitchen, master suite. 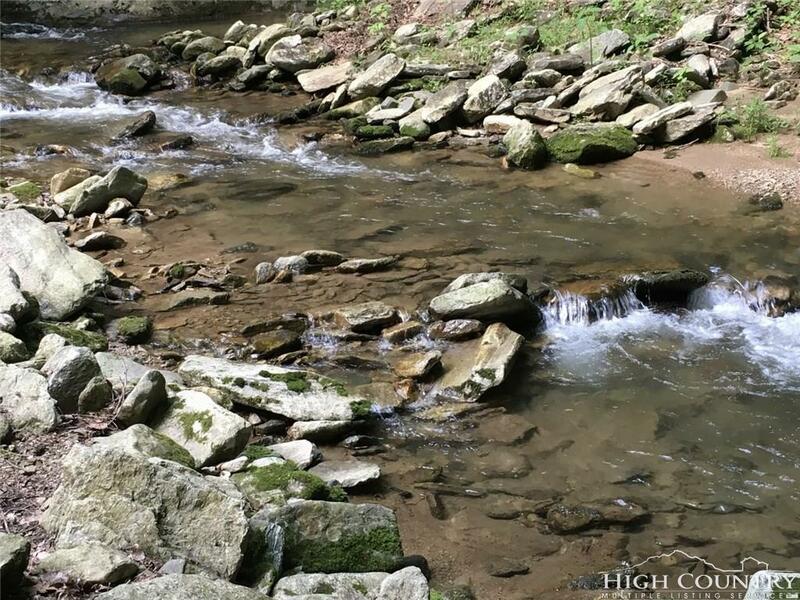 It is extremely rare to find this combination of water, woods, some open and gentle land, a park-like entry and a true mountain style home situated in the perfect spot with loads of room for family and friends. 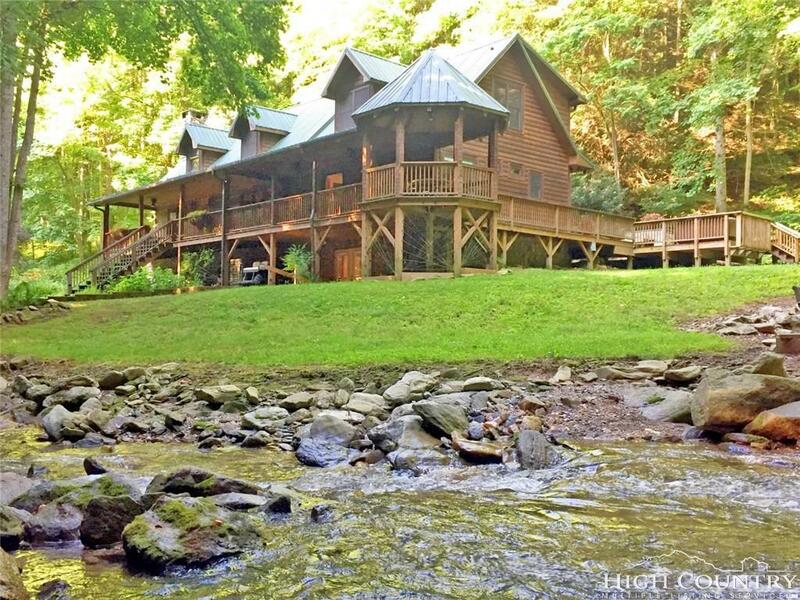 A private creekfront oasis just a short drive to Boone and all the High Country has to offer, but honestly, you may never want to leave the covered front porch and the creek! 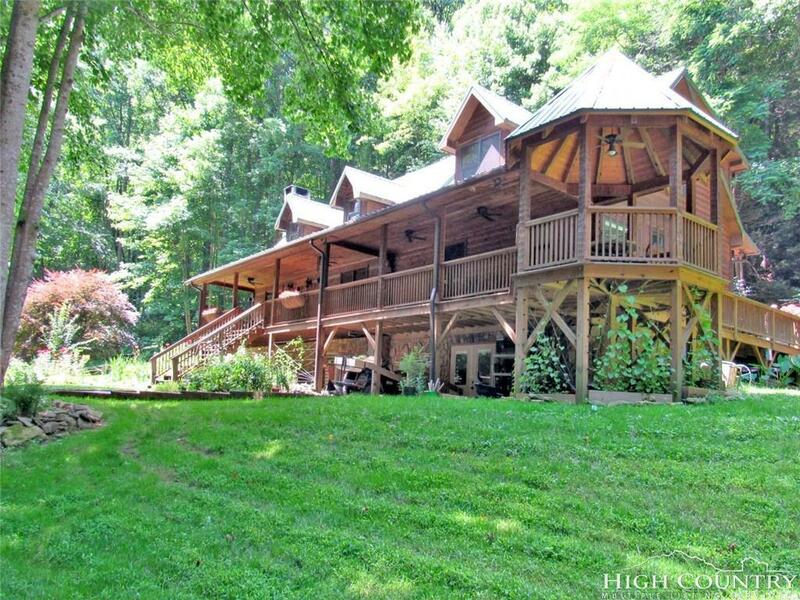 Listing provided courtesy of Gail Smart of Blowing Rock Properties.